All the “getting started” resources are free online so you don’t have to buy anything yet! Precepts Austin – How to do an Inductive Study — Complete at least the first 3 lessons in how to do an inductive bible study. Then explore the rest of the resources on this helpful site. Adventuring Through the Bible: A Comprehensive Guide to the Entire Bible, by Ray C Stedman – this is my favorite one-volume commentary; It is often my starting point when beginning a new study. You can buy a paper copy or access it FREE online. How to do an Analytical Outline – my favorite study tool when starting a new passage; I find it the best tool to begin asking the right questions that will ultimately unlock a passage. 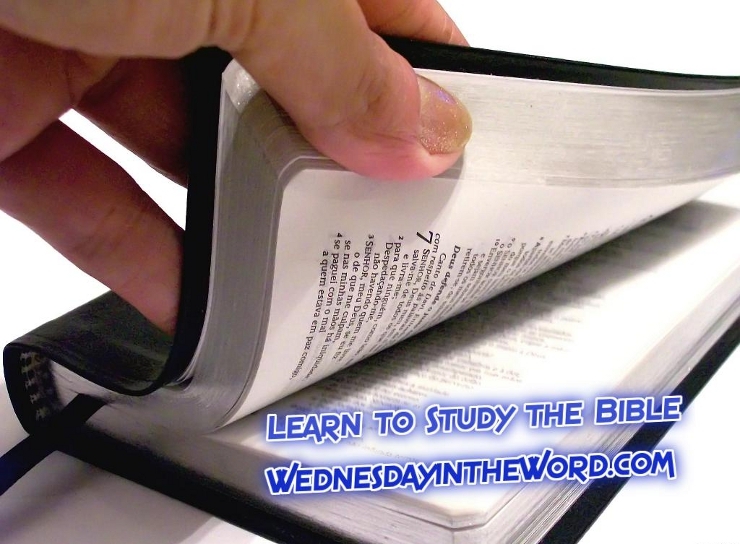 Bible Maps & Charts – a collection of online resources to help your bible study. The Joy of Discovery in Bible Study, by Oletta Ward – a classic resource for small groups to work through together; teachers guide is also available. The Language of God: A Commonsense Approach to Understanding and Applying the Bible, by Ron Julian, J.A. Crabtree and David Crabtree — this is a GREAT book for understanding the principles, methodology and philosophy of Bible study. The authors apply what they teach to a very difficult passage (James 5). The book is worth it just to understand James 5. Exegetical Fallacies, by D.A. Carson — this will challenge you to move your study skills to the next level. An Old Testament Theology: An Exegetical, Canonical and Thematic Approach by Bruce Waltke and Charles Yu — this book looks intimidating, but it’s worth it! Working on a Specific Genre?